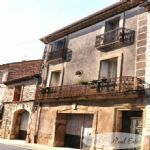 This property is located in the heart of a lively village, with shops for daily needs, in the region of Pézenas, Languedoc Roussillon, Occitanie, South of France. This house is ready to use, you just need to put your suitcases down and immediately enjoy the sun of the region. Its beautiful kitchen and luminous open living room offer a pleasant living space. It has 3 bedrooms including a master suite.